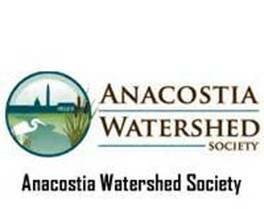 Please join the Peace and Justice Committee as they volunteer with the Anacostia Watershed Society in the area’s premiere annual Earth Day Cleanup. Join the force for good with over 2,000 AWS volunteers cleaning up our neighborhoods, parks, streams, and the Anacostia River. Before you arrive read the section on “What to Bring” and make sure you get a waiver from Karen Milam. Karen will bring some snacks and coffee to share at the event. Download the waiver by clicking here. When you arrive, you can park in the parking lot. Look for signs to check in at the registration table. You will meet the folks organizing your site, and get your t shirt (email karenmichelle.m@gmail.com your shirt size). Site leaders will brief you on basic safety measures to ensure that everyone has a safe, fun time. All tools and supplies needed will be provided – no need to bring your own gloves unless you have a favorite pair. This is a family friendly event and kids are welcome! and participants under 15 must be accompanied by an adult.